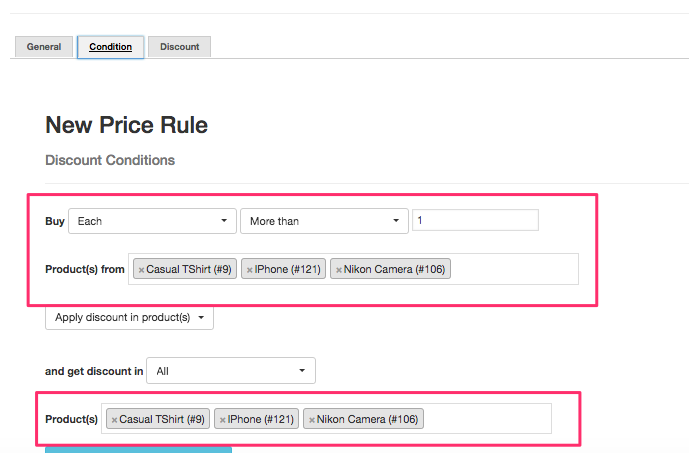 Conditional discounts help you sell more as the customer gets the discount only when he adds all the required products to cart. 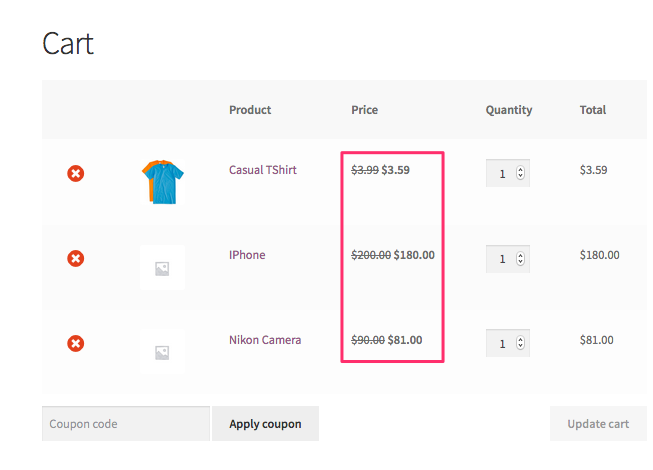 Let's create a sample rule configuration for "Buy at least 1 quantity of Product A, B and C and get discount of 10%"
Important: Choose the method: "Dependent / conditional based discount"
The customer has to buy at least 1 quantity each. This is fairly simple. You can set a percentage or a fixed cost discount. 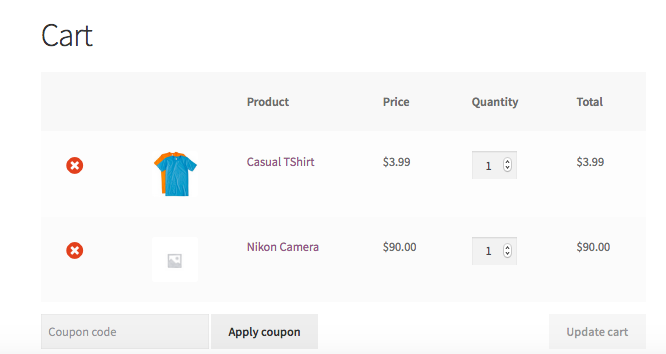 Here is a screenshot of the cart page when "all three products" are added to cart.